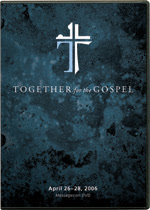 I had long thought that it would be wonderful if the videos from the Together for the Gospel conference held in 2006 could be obtained. The audio has been available by Sovereign Grace Ministries for free here. Ligonier Ministries has made the videos available for viewing here or for purchase here. In an era in which false conversions are common and truth is obfuscated or denied, John Blanchard has provided an amazingly clear text to help you examine if you are truly a regenerate Christian. The Bible is often seen as an antiquated text of checklists of to-do’s. 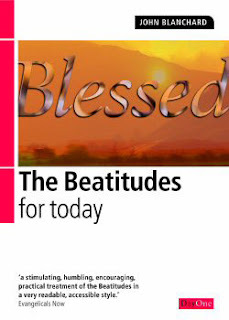 In Blessed: The Beatitudes for Today, Blanchard expounds the opening section (called the Beatitudes) of the Sermon on the Mount, showing that the character of a Christian flows from a relationship with the Sovereign Lord. He notes that the Beatitudes as a whole is an evidence (singular) of one’s right relationship with God and not a checklist of things to do to get right with God. I have been challenged by Blanchard to lean upon Christ, to desire to look more like Him, and to herald the glory of the gospel. May God grant me more books to read like this one! I doubt that I have read such a simple, yet deep, text. One of the blurbs on the back of the book states, “John Blanchard’s fertile mined, wide reading and clarity of style are all apparent in this excellent volume.” I agree whole-heartedly. After you finishing this text, you feel as though you have spent time in conversation with some of the greatest minds of Christian thought over the last two millennia. You realize that you are surrounded by so great a cloud of witnesses. Page after page, the reader is presented with the gospel. There are no formulas; there is no exaltation of pragmatism. The weary sheep will be comforted and encouraged by such an exposition! They will not be pushed to-and-fro by speculation but shown rich theology in the clearest way I have ever seen! This is why the critical questions for anyone to ask are not ‘Do I have enough religion?’, ‘Do I belong to the right church?’ or even ‘Am I doing the right kind of things?’, but ‘Has God changed my heart?’ Has he radically changed my motives and affections?’ ‘Do I love what I once loathed, and loathe what I once loved?’ ‘Are my moral and spiritual endeavours driven by a passionate love for God and his ways, or by a lingering belief that they contribute something to my salvation?’ Do I have a genuine longing to be obedient to God in every area of my life?’ Can I truthfully say with David, “I desire to do your will, O my God; your law is within my heart”?’ (Psalm 40:8). Christian conversion is not an external rearrangement of certain actions, but a radical transformation of the heart which inevitably results in an equally radical transformation of life. This coming weekend my church is holding a seminar to help people live with an evangelistic mindset. Evangelism is an amazing grace that God has given us. In it, we let the overflow of joy that we have for God extend outward to proclaim His goodness to others that they may know the same joy. It is a privelige! Oh, if you have the hearts of Christians, or of men in you, let them yearn towards your poor, ignorant, ungodly neighbours. Alas! There is but a step betwixt them and death and hell….Have you hearts of rock, that you cannot pity men in such a case as this? If you believe not the word of God, and the danger of sinners, why are you Christians yourselves? If you do believe it, why do you not bestir you to the helping of others? Do you not care who is damned, so you be saved? Can You Even Ask the Question, or Will You Get Expelled? “There are no stupid questions.” When teachers state this at the beginning of the semester, they are usually trying to create a certain type of learning environment. We want students to ask the hard questions. We want them to become passionate about learning. Asking questions is vital to learning! It is an exhilarating rush to ask a question, study diligently, and see the solution appear. It is like a boat on a voyage through uncharted waters. It crosses over the immeasurable distances, and through the fog, something happens: LAND! Here is an interesting thought: What if you were never allowed to get on the boat? Interestingly, a culture that purports free thought may have stifled it. Our academic institutions are to challenge us, but do they? Sure, they may say there are no stupid questions, but what happens when you ask it? Can you even ask the question? Expelled: No Intelligent Design Allowed features Ben Stein probing this question in the context of the Darwin vs. Intelligent Design debate. Now as they went on their way, Jesus entered a village. who sat at the Lord's feet and listened to his teaching. But Martha was distracted with much serving. “Lord, do you not care that my sister has left me to serve alone? but one thing is necessary. When we sit down to eat (especially in America), we find ourselves at a table with large portions. We can go to a buffet style restaurant and choose from many different salad toppings, entrees, and side items. We can go up as often as we would like, eating much…too much. We can start out well, eating a small salad with a low-fat dressing. Then we get to the main course, and the options begin to weigh on us, and we gorge ourselves. So it is with the Christian life. We can start off well, but then be overcome by the distraction until we are anxious and troubled, losing focus on the chief goal. Here we see Martha, welcoming Jesus and, by implication, his disciples into her house. There is her good start that day. She prepared for and welcomed for her guests. This is something we must also do. You may have done this today, as well. But we must also set aside the rest of our day. This is where we begin to see Martha’s unraveling. An illustration may help us see Martha’s sin (and our own). Imagine a woman at the buffet with a few too many sides and entrees. She is desperately trying to eat all of her food. Her stomach is beginning to ache. She is getting bloated. She is contorting her body to try and find room for the food. Sweat is breaking on her forehead. Next to the woman struggling with the food, we see another woman. This other woman is savoring a nice 7 ounce steak with a small salad and a baked potato. She is enjoying her meal, slowly chewing each piece. The food is settling nicely in her stomach, and she is comfortably situated with a smile on her face. Finally, imagine the woman who is eating too much bursting into the kitchen, grabbing the chef, and telling him to make the other woman help her eat some of the food. The Lord tells Martha that Mary chose a good portion. Martha chose too much. She lost focus of Christ and his instruction. Let the words of our Lord remind us, “But seek first the kingdom of God and his righteousness, and all these things will be added to you” (Mat 6:33). Today, may we sit at Christ’s feet and focus our attention on him. In all that we do, may we seek that one good portion: “So, whether you eat or drink, or whatever you do, do all to the glory of God” (1Co 10:31).